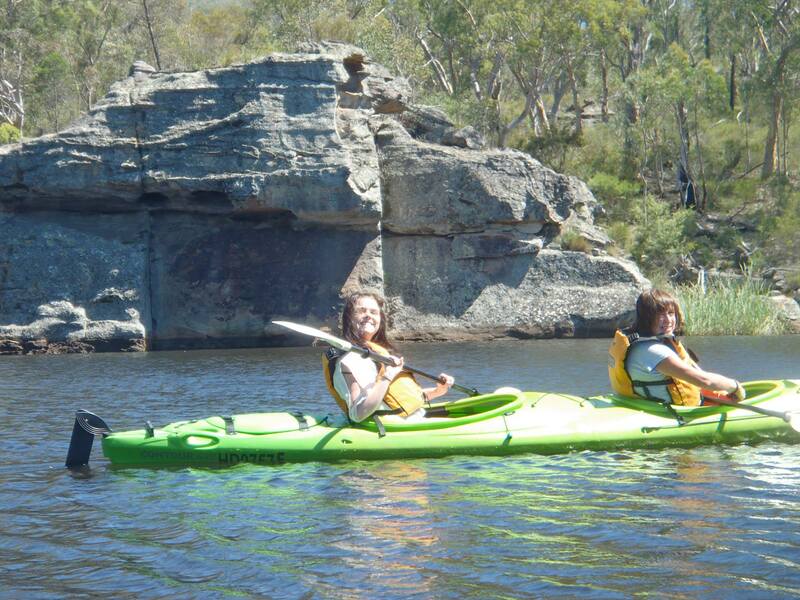 Yep, that’s us paddling away! 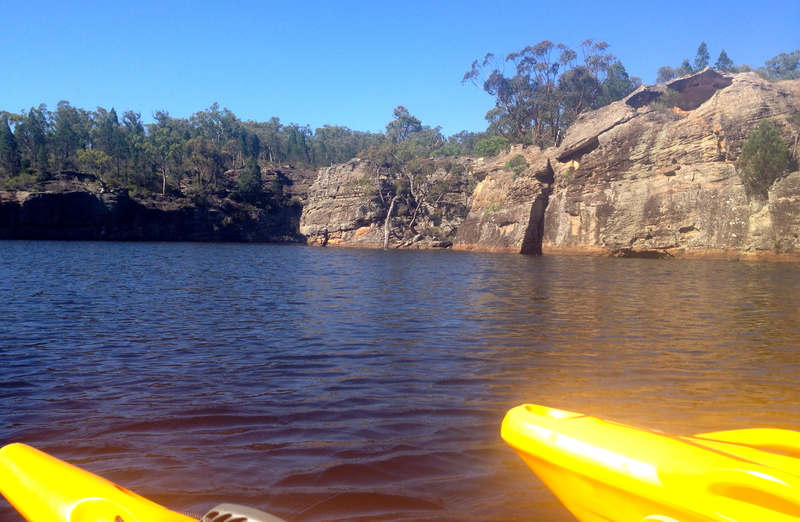 We’ve been promising ourselves this for a while but this time we booked ourselves in and took along some of our kids to go kayaking at Dunn’s Swamp. 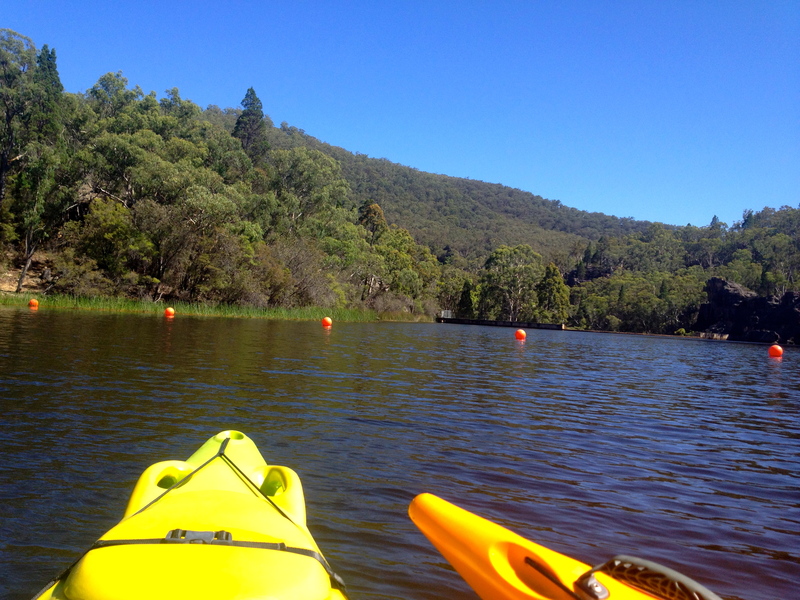 Beautiful views in every direction from our kayaks. The buoys mark the area where the kayaks can’t pass as the weir is behind them. The name doesn’t do the area justice as it’s the most beautiful place and home to a wide variety of bird and animal life. The area was made into a large lake in the 1930s to provide a water source for the cement works but has since evolved into an area of great natural beauty. It was fascinating to hear the story of how it was built as well as the original history and its connection to the Wiradjuri people. The weir/dam is impressive and also home to wild life. We watched tortoises sun baking in the water. 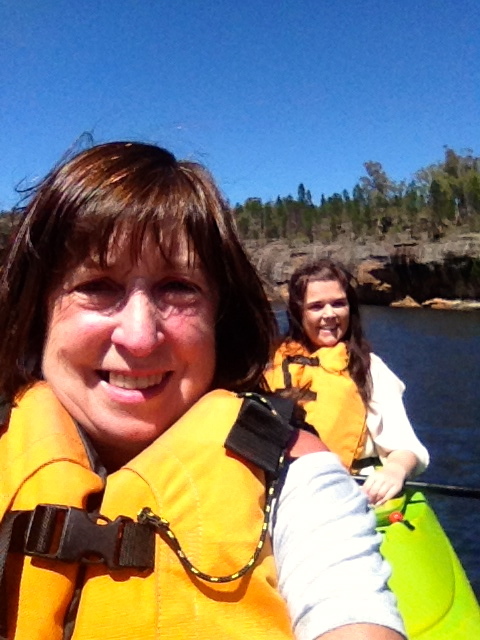 We hired kayaks from Southern Cross Kayaking and paddled along with Cindy who showed us around and filled in many missing parts of the local history. 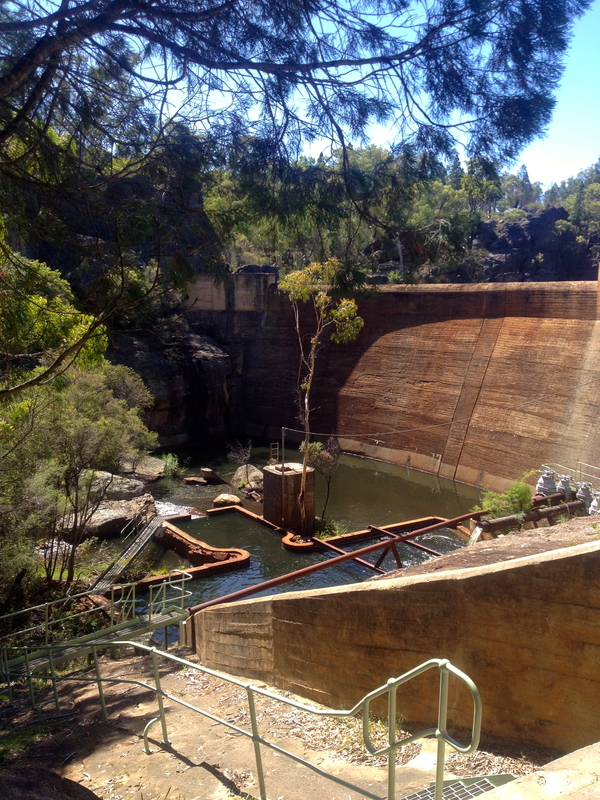 It was amazing to think that the weir was built by around a dozen men living in the bush for a few years. The area is a popular camping spot and also attracts locals who fish there. G and I are sorely tempted to look at buying our own kayaks or a runabout to take more advantage of this fantastic escape – which is about 20 minutes from our doorsteps. Anyway, we had a great morning with the kids, although I’m not sure they were as impressed as they should have been with our kayaking abilities.